MBA students spend hours learning the finer points of returns on investments, but the lessons don't stop once classes end. The money they invest in tuition can translate into a big real-life return — a large increase in salary. Those who have earned an MBA from Florida Atlantic University, especially, are seeing that return on their investment firsthand. In a study of MBA programs conducted by SoFi, a San Francisco-based refinancer of student loans, FAU ranked fifth overall in terms of the best salary-to-debt ratio — meaning the average earnings of grads outpace their debt by a larger margin. It came out just behind Stanford and well ahead of heavy-hitters like Texas A&M (sixth) and University of Wisconsin-Madison (13th), plus it took the top spot in the Sunshine State. This designation is proof that FAU's program, for all its affordability, still delivers the high-quality education employers recognize — and reward. SoFi's analysis found that the average salary three years after graduation for FAU MBAs is $105,000, which is 2.3 times the average debt of $45,600. To put that figure in context, the other MBA programs ranking in the top five for return on education all showed a salary-to-debt ratio between 2.5 and 2.31. "We are focused on providing first-rate programs that provide excellent value for our students," says Daniel Gropper, Ph.D., dean of the FAU College of Business. "Our faculty and staff deliver high quality programs that give our graduates a good return on their educational investment, and I am pleased to see FAU recognized among the top MBA programs." SoFi's analysis is notable because it's the first of its kind to use verified income and debt versus reported figures. For the research, analysts looked at more than 240,000 student loan refinancing applications submitted from January 2014 to September 2015 and took data from more than 50,000 MBAs. An MBA will always hold value, but doing a cost-benefit analysis and weighing programs based on the return on your investment is smart because results can vary, says Dan Macklin, co-founder of SoFi. "Surprisingly, we found that some schools that delivered the best salary-to-debt ratio do not register on most traditional MBA rankings. This indicates that students should apply this assessment when determining to pursue an MBA and from where." 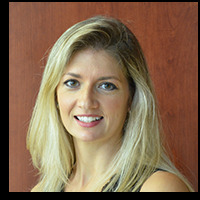 To put a human face on it, consider the career path of Stephanie Grant, a recent graduate of Florida Atlantic University's Financial Analyst program who will earn an Executive MBA in the spring of 2016. "I was a public school teacher, and as a result of the EMBA and the FA program, in particular, I'm now working as a research associate for an investment bank," Grant says. That has translated to a 50 percent increase in annual pay. Meanwhile, two classmates have asked her to apply for jobs with their employers. "When I walked into the MBA program, I found out about the FA program and that catapulted me into financial world," Grant says. "Both of those programs paved my path." Anup Patel, who earned his EMBA from FAU in 2012, experienced a similar increase in pay and opportunities. He began working at NextEra Energy Resources in Juno Beach six years ago as a lab chemist, then after getting his MBA, Patel became a business services technician, then a business analyst; he now makes 33 percent more. "Career-path wise, it's better, too," Patel says. "I now have an even better work-life balance and I know that advancements can be made with the degree. There's also a level of respect that's earned by obtaining (an MBA)." That respect adds to the value of FAU's MBA, but the actual increases in salary depend on the position and industry, of course. For example, the mean annual wage for financial managers in the Miami-Fort Lauderdale-Pompano Beach area is more than $134,000, according the Bureau of Labor Statistics. Compensation and benefits managers can make $122,000, while personal financial advisers earn about $112,000. 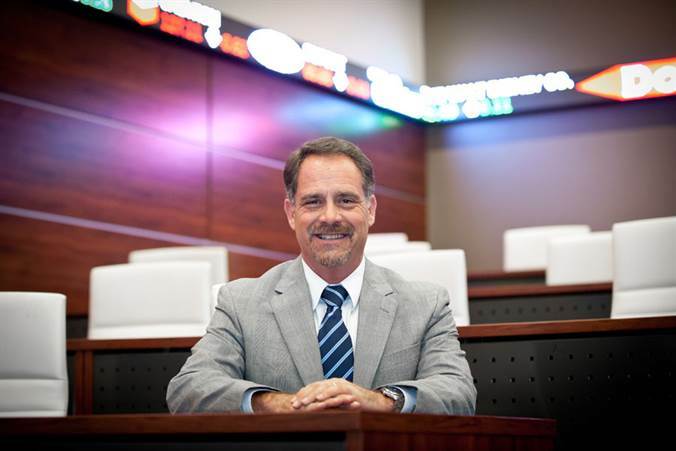 Generally speaking, "you're probably looking at a salary increase of $15,000 to $20,000 per year after earning an MBA," says Ken Johnson, FAU's associate dean of graduate programs. "Some people will make way more money, but more importantly, it opens up a lot of lifetime opportunities."